Facing the reality of default is stressful. Not only do you have to face the possibility of leaving precious memories behind, but you also must deal with the negative impact that eviction will have on your credit if you are forced to leave. While many undergo the process alone, there are a number of attorneys who are ready and able to help during financial strain. 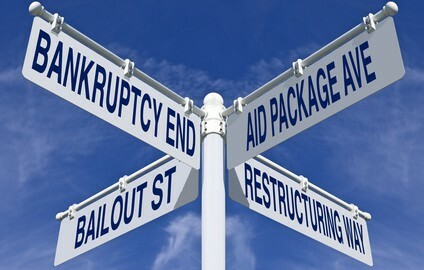 Here are a few ways that a Pittsburgh foreclosure lawyer can help in times of need. Perhaps you have not exhausted all of your options in terms of repayment. You should definitely have a legal expert look over contracts when your mortgage company is willing to alter your loan. Although some banks say that such step in not necessary in the modification process, it never hurts to have a professional look over the agreement before you sign. After all, you will be consenting to repay by the terms described in the new arrangement for the next twenty to thirty years. Many home owners do not realize that a Pittsburgh foreclosure lawyer can be of great assistance during the beginning stages of default. In many instances, legal counsel can communicate with mortgage companies and garner a more suitable repayment plan. Repossession of property takes anywhere from two to three months. During this time, the mortgage company will send an official notice of default and file a motion with the courts. Attorneys can give you a list of options that can help if giving up the property is absolutely essential. Such possibilities include short sales, bankruptcy and surrendering the deed in lieu of foreclosure. An attorney can guide you through the process and stop the harassment that typically comes along with falling behind on payments. Caymus Realty Solutions provides another alternative to individuals in default that does not require a Pittsburgh foreclosure lawyer. We pay cash for houses so that you can get the relief you need during financial crisis. Learn more about our process at our website.